First of all, we should identify what is a PowerPoint Show. Simply defined, it is a presentation of information that is shown with the help of slides which are automatically launched. 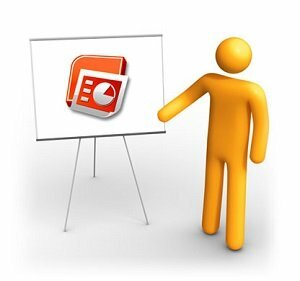 If there is a need to know how to change PowerPoint slideshow to presentation, it is better to understand what is the main difference. PowerPoint slideshow is useful at least for two reasons: the user / the presenter does not need to look for the specific button in PowerPoint to play the presentation in full-screen mode, also one cannot bother switching between the slides. Thus, it is a time-saving tool. Secondly, the controls are primarily disabled and the audience cannot bring any inadvertent changes to the presentation. That is why PowerPoint Show is one of the best visual aids for the self-explanatory content, for looping and automated presentations. Now it is high time to learn what is the difference between an editable PowerPoint presentation and a PowerPoint Show file. The main distinction lies in their file extensions. A PowerPoint Show file extension has the ending .ppsx in PowerPoint of 2007/2010 years and .pps in PowerPoint in earlier versions. At the same time, PowerPoint presentation, which is an editable format, ends on .pptx in PowerPoint 2007 and 2010, and .ppt in PowerPoint in earlier versions. There are two methods on how to change from one format to another. in order to save as the PowerPoint SlideShow file, choose Save As PowerPoint Show, if as PowerPoint Presentation choose accordingly. depending on the version of the PowerPoint you have, change the extension after dot from .ppsx or .pps to .pptx or .ppt accordingly. click two times with the PC mouse on the renamed file and it should now open with the edited PowerPoint format. That is how one can easily change PowerPoint Slideshow into the PowerPoint Presentation. Using this “How to” guide one can also perform the inverse task.